Team Klaus Klapper is made up of a programmer and an artist. We've known each other for quite some time but never really got around to make a game. The MiniLD65 of the excellent Ludum Dare! seemed like an excellent way to get started. You're a 12 year old boy and love Teenage Mutant Ninja Turtles. Soon, you'll be a teenager. The only thing you miss are some rad mutation super powers! That couldn't be too hard, right? 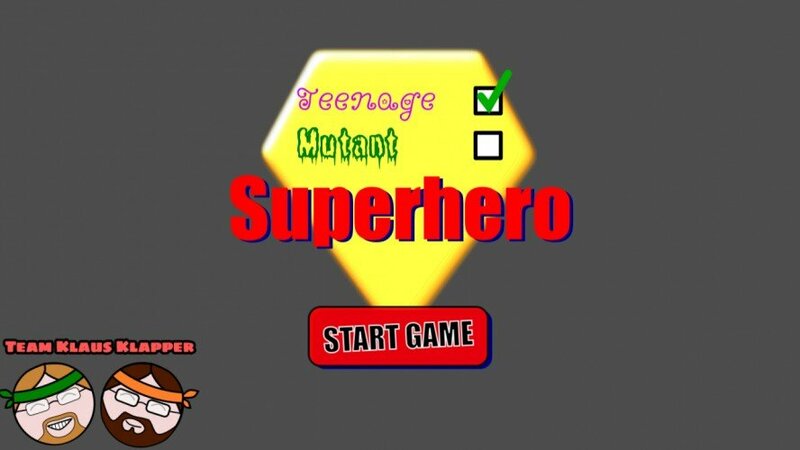 Join the epic quest of becoming a Teenage Mutant Super Hero. Can you make it until you're out of your teens? There are many many ways to die and also 7 different endings, if you made it out alive. So feel free to explore and enjoy yourself. There is no ingame tutorial of any sort yet and probably still some bugs and glitches as well as lots of balancing to do. You have a total of 32 moves (8 years * 4 quarters). After each move, your character might mutate in respect to your current mutation chance. The best way to win is to find a smart way of raising your chance to mutate as fast as possible. Your IQ determines the actions your character can do. Every action will have an effect on your chance to mutate, your health and your IQ. Try to find a good balance between a high IQ, high life and high chance to mutate. All in all, i really enjoyed it. Good job!! The graphic style is ...... interesting. The volume is way too loud and i couldn't see any mute button.